Dieter Hecking and VfL Wolfsburg have agreed to go their separate ways with the Wolves in 14th - two points above the relegation places - following Sunday's 1-0 loss to RB Leipzig. "Of course, I'm disappointed," said Hecking on the club's official website. "I'd have liked to work with the team to bring them back on track, but I respect the decision of the club." "I'd like to thank VfL Wolfsburg and the fans for their great cooperation and support in the past years. We've celebrated great successes here, of which we can be proud." 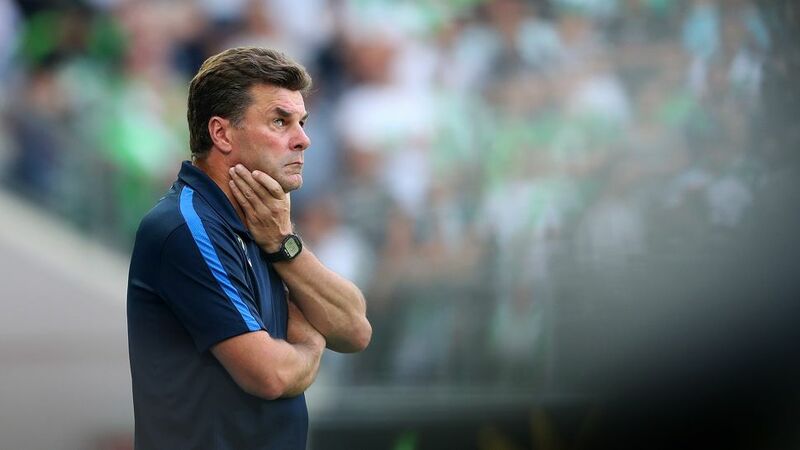 Hecking took charge in 2012, leading Wolfsburg to the double of DFB Cup and Supercup in 2015. The signings of star players such as Mario Gomez and Jakub Blaszczykowski have failed to yield the desired results in 2016/17, though. Former FC Bayern München centre-back Valerien Ismael, most recently coach of Wolfsburg's reserves, has been appointed on an interim basis. * It was a good time with you, Dieter. Thank you for everything!